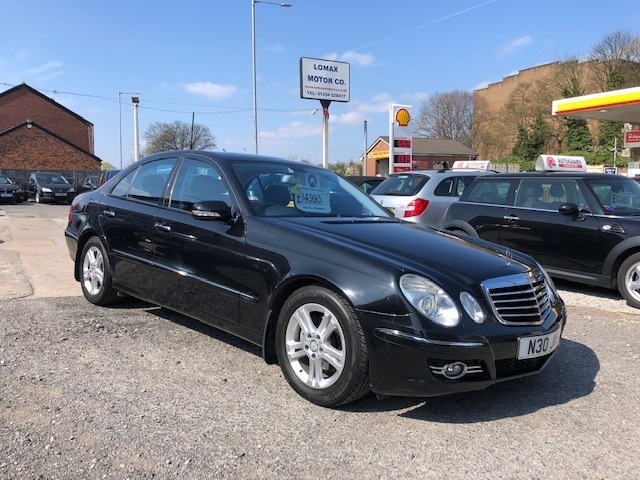 A very well presented and maintained Mercedes E220 CDI Avantgarde finished in metallic black with black 1/2 leather interior. Complimented by a full service history along with original Mercedes E class brochures which have been kept by the most recent keeper who has owned the vehicle since 2011. Has electric folding door mirrors and Mercedes Benz Parktronic (front and rear sensors). Drives really well. We have all supporting ownership documents which include the V5C log book, MOT certificate, hand books,two keys, and a HPI certificate. We are a family run, AA approved dealership. All of our vehicles are supplied with 12 months AA breakdown assistance. Part exchange and finance available.